Stress – a term that we are all so familiar with it almost feels as if its just part of every day life. We are stressed at school, stressed at work, stressed in our relationships, stressed with the bank manager, stressed in the traffic…….stressed, stressed, stressed!!! 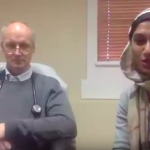 But what exactly is stress and how does it effect us? The term stress has several different meanings. It can mean excitement or nervous anticipation of a positive event – ‘good stress’ or it can mean a negative state of fatigue, fear, frustration or an inability to cope – ‘bad stress’. ‘Bad stress’ is what we are often referring to in general conversation as a alluding to a feeling of being psychologically ‘stressed out’ (1). Chronic stress has been linked to macroscopic changes in the brain, involving volume and physical changes to neural networks. Similar changes have been found, postmortem, in people with a history of depression, suggesting that chronic stress may have some influence on mental health disorders associated with chronic stress, such as severe trauma, significant negative life events and/or long-term psychosocial distress. 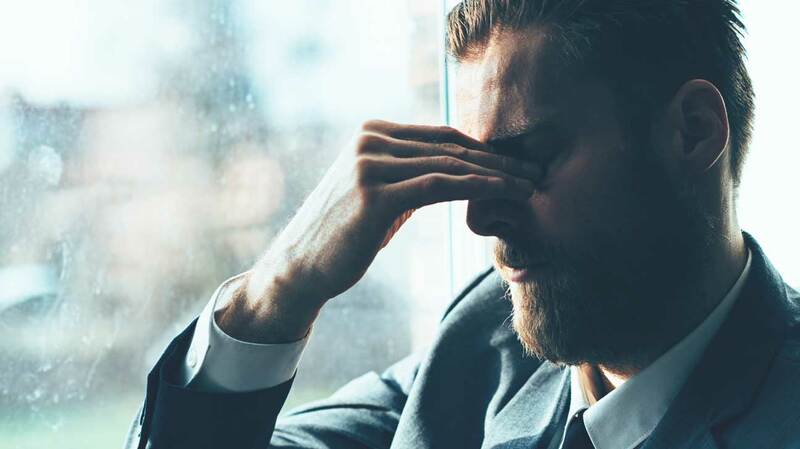 Stress receptors are found in cells of the immune system and it has been shown that psychological stress can induce an immune response similar to that caused by an infection or tissue damage. If the brain perceives a psychological stressor as a threat, it initiates an immune response intended to protect and prevent damage. If the stress is not relieved and the immune system’s response prolonged, this can lead to a state of chronic, low-grade inflammation – a precursor to a number illnesses. Cardiovascular disease, diabetes, cancer, auto-immune syndromes and mental illness have all been linked to stress and low-grade inflammation. 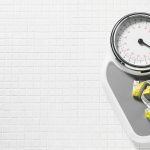 It may seem somewhat counter-intuitive that chronic stress, which physiologically requires more energy, can cause obesity but it appears to do just that. By promoting the accumulation and/or redistribution of energy stores, chronic stress can lead to weight gain and the deposition of visceral adipose tissue in some people. In fact, stress is identified as one of the most reliable predictors of obesity and other chronic diseases. Food choices and eating patterns are also often affected by stress. During times of significant psycho-social stress, people often report an increase in appetite and a craving for more sugary foods. They tend to choose food that is dense in calories and high in sugar, fat, and salt. All of which gives the brain a sense of ‘rewarding’. This over-consumption of food and calories ‘for comfort’ is linked to the development of insulin resistance, metabolic syndrome and general obesity. The impact of stress in our lives has both physical and psychological implications for our health, as it affects a myriad of body systems. Identifying ways in which to reduce stress and regain a state of homeostasis, or balance, is becoming increasingly important as the pace of life and all its demands increase. 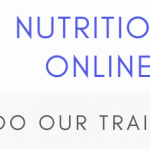 Making healthy and informed choices about what and how we eat, particularly during times of high emotional stress, is a significant factor in our overall health. The evidence supporting LCHF nutrition as a means to reduce physiological ‘stress’ in one’s body is mounting. 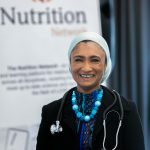 Choosing to follow am LCHF diet won’t necessarily stop your children from arguing over who gets to sit in the front seat on the way home from school but its impact on health concerns, such as obesity, weight loss, diabetes, cardiovascular disease, general energy levels, negative eating behaviours and mental clarity can be profound. 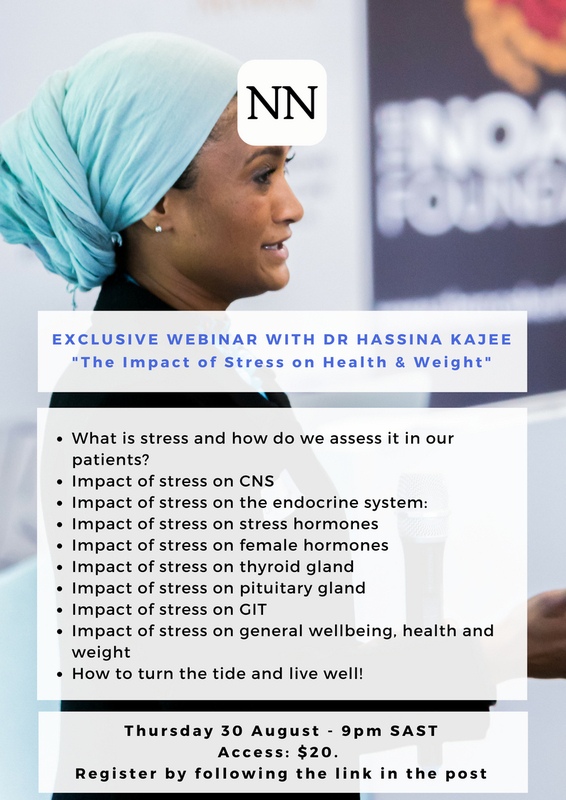 Join Dr Hassina Kajee, Specialist Physician and Obesity expert, discuss in more detail the impact stress has on health and what actions can be taken to start to address and reduce the very real impact of stress on one’s physical and psychological health.